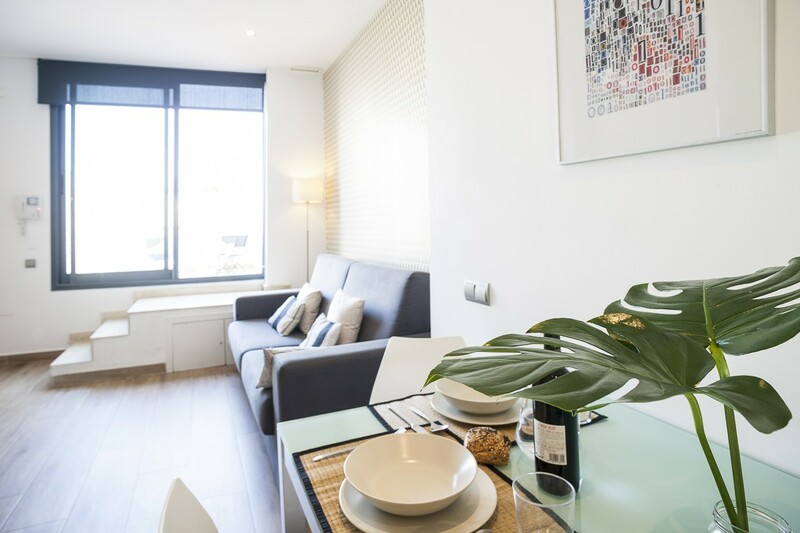 The Mozart 42 (HUTB-002389) apartment in Gracia is on the top floor of a building that was recently totally refurbished, in the Gràcia district of Barcelona. The inside of the building has been completely rebuilt and a lift has been added, while the outside maintains all its original façade. 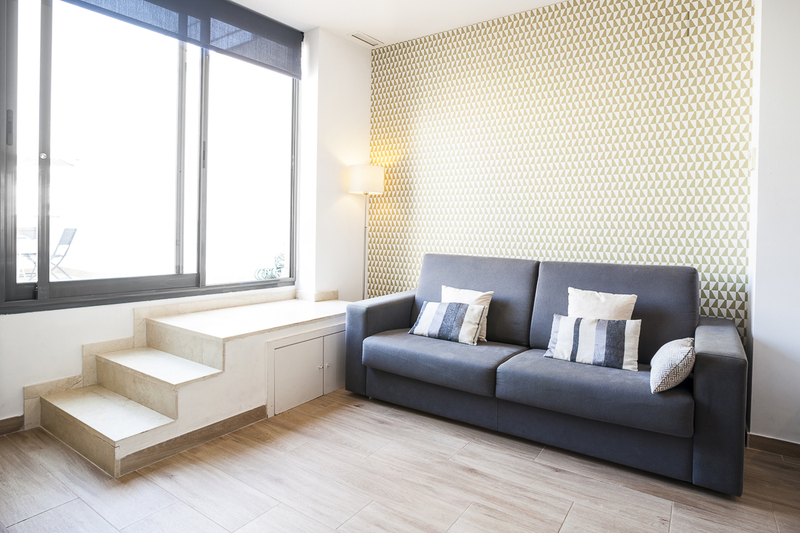 This Barcelona apartment has one big bedroom with a king size bed and a large wardrobe. 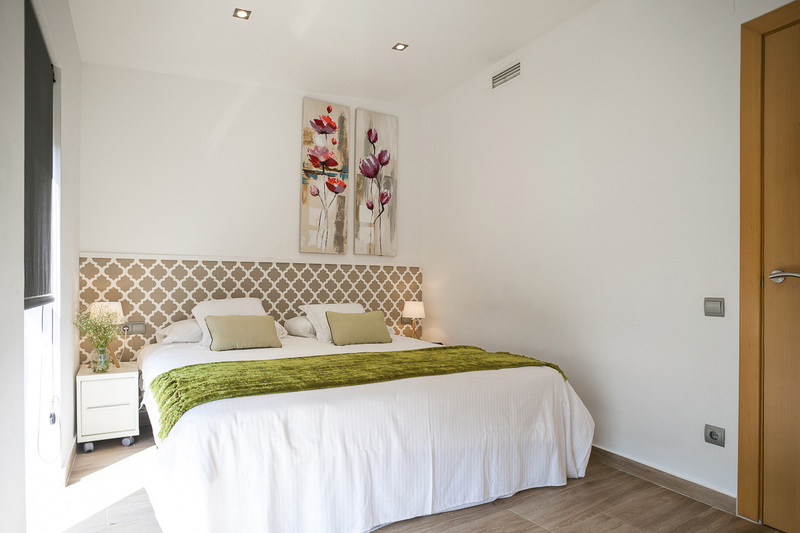 The bedroom receives lots of natural light thanks to the large window, creating an agreeable sense of space. 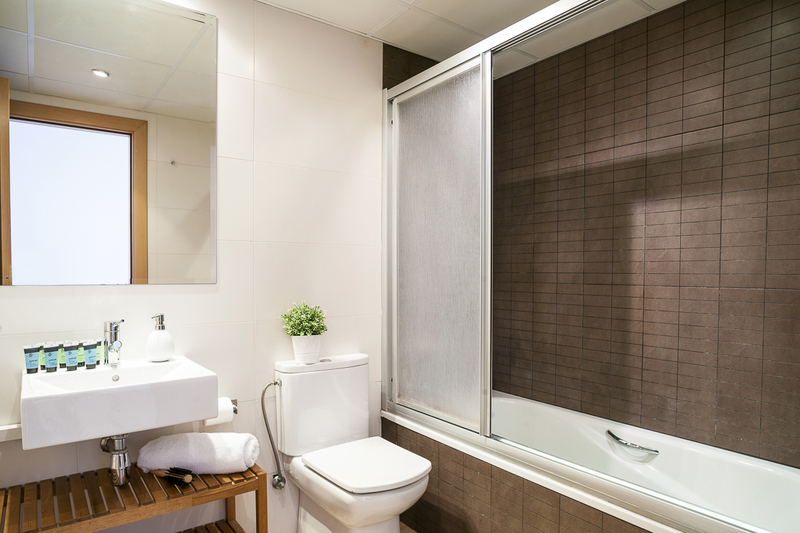 The bathroom is modern and spacious and comes with a nice bath, perfect for relaxing after a long day of sightseeing. 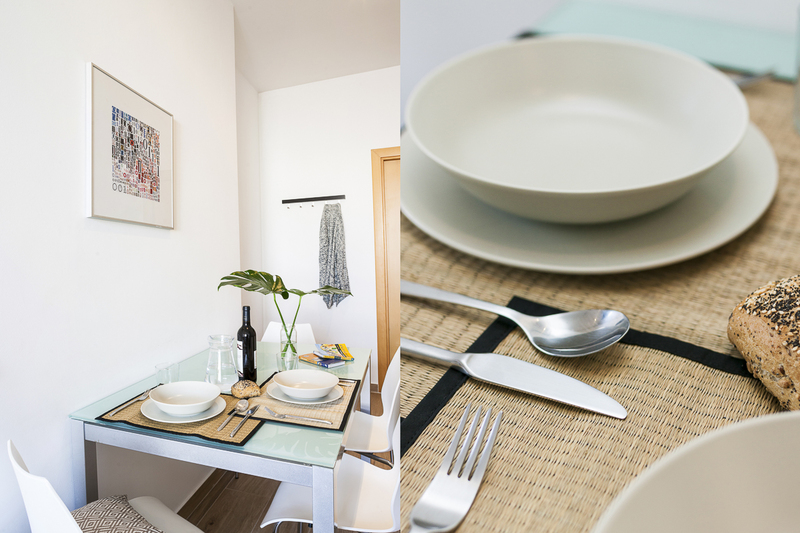 The living/dining room is a generous size and very lights through a glass door that opens onto the outdoor terrace, the highlight of this fantastic apartment. 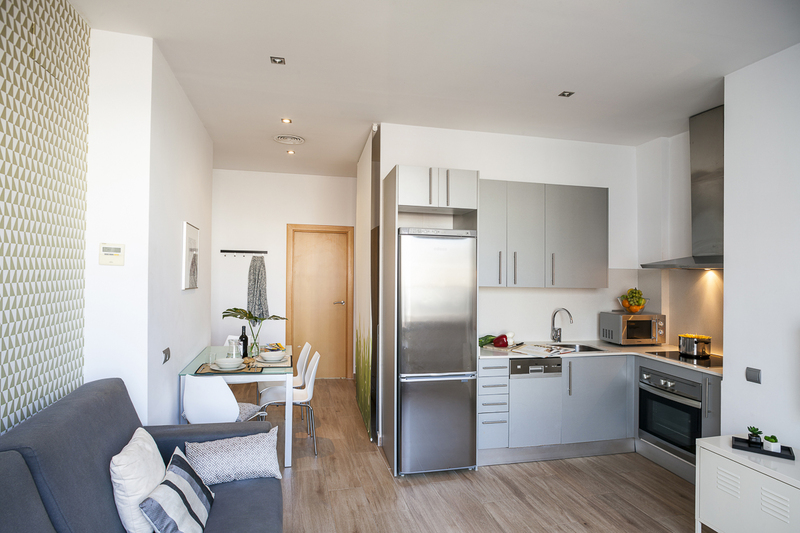 The kitchen is brand new and forms part of the same space. There is dining table and four comfortable chairs. 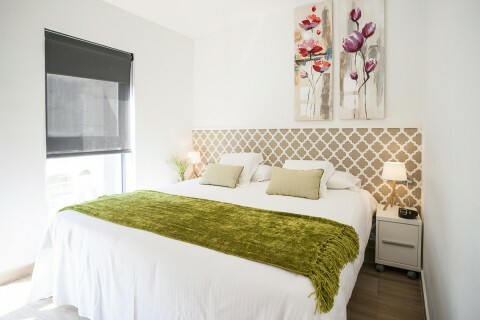 In the living room also there is a double sofa bed, so the apartment offers accommodation up to 4 people, and a TV, DVD player and free Wi-Fi connection. The terrace has a modern and colourful outdoor table and chairs and a large parasol, ideal to enjoy a meal outdoors and Barcelona’s sunny weather. This delightful rental apartment is perfect for visitors looking for quality accommodation away from the hustle and bustle of the old town yet centrally located. to Place Catalunya and Las Ramblas. 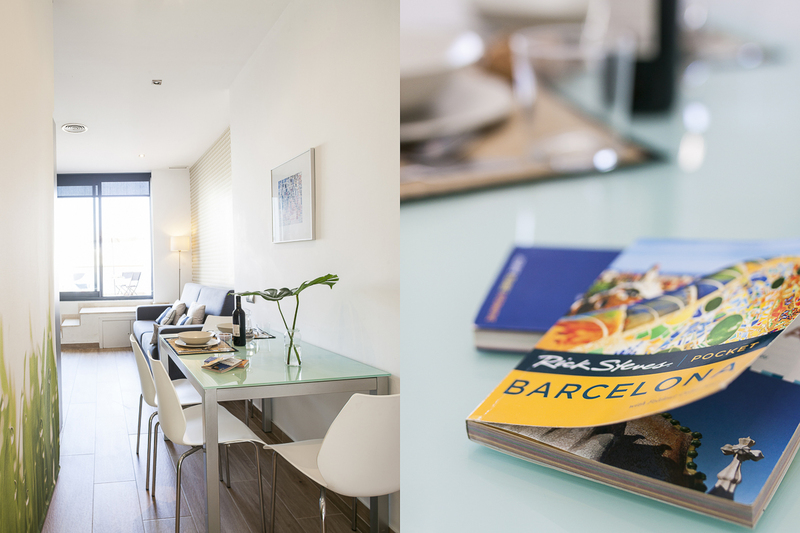 On your way you will see some of the best tourists sights in the city such as the famous Art Nouveau buildings the Casa Milà and the Casa Battló by Gaudí. Finally, the area offers excellent public transport connections. Diagonal Avenue has several bus lines and the closest metro station is Diagonal, with two different lines, L3 (green) and L5 (blue), just 500 meters from the apartment. Very clean and comfortable! Extremly easy communication and amazind welcome, with very sweet + helpful instructions from Miguel. Quiet neighborhood yet close to so much. Brian es excelente! Great neighborhood + location. Not in dense tourist area. Stilll close to major attractions. Enjoyed the patio. Very helpful to have blow dryer + iron. 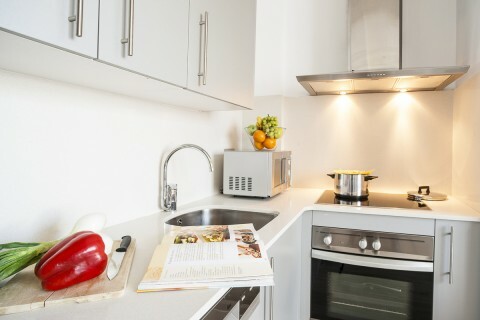 Comfortable and spacious in a great area with bars, restaurants and food shops nearby. Nice and warm welcome. Quiet and clean. Good location. Emplacement idéal pour accès métro, courses de proximité et tranquilité. Equipement neuf. Quartier très agréable et reposant. Beaucoup de charme. Carte d'entrée magnetique, facile d'usage. Location was great, really good for strolling around and visiting local cafes, bars and bakery shops, whilst being easy to get to tourist attractions and the beach, by metro or bus. 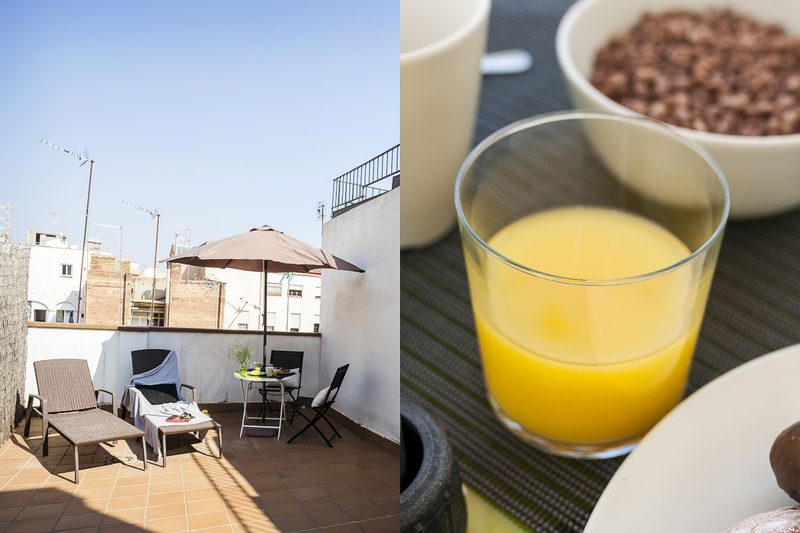 the apartment was good with comfy beds, good air con and the roof top terrace was an added bonus. We loved the location. It was nice to be far enough away from the tourist areas but still within walking distance. Very quiet neighborhood with nearby amenities. The rooftop terrace was our favorite part. We could sit out and enjoy meals and drinks in a private setting. I enjoyed very much - thank you for the excellent support and that wonderful accomodation! One of the most important things is the presence of the balcony. Very pleasant with good weather. Climatisation terrasse au soleil. Sinon trés bel appartement bien situé. En plus à ces dates, avec les fêtes de Gracia c'était super! Merci! Very nice welcome :) Would definitely come here again. Perfect location. Very friendly staff. Good service. Le jeune homme qui nous a accueilli était vraiment sympa! On a adoré la terrasse! L'appartement est agréable et bien situé! 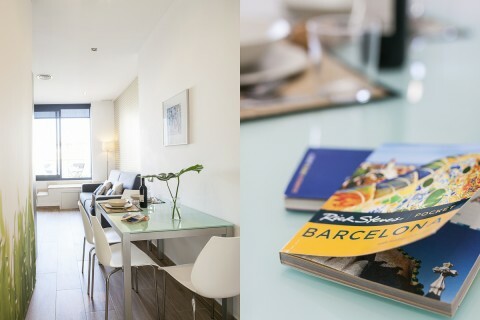 Apartment very well located to visit Barcelona and very well equipped. The area was wonderful. It's very central and we walked everywhere - Parc Güell, el Gotic, Barcelonetta, Sagrada, Camp nou - Excellent restaurants + bars just outside the door. We had street processings and even a street party. Many thanks for the map we were given on arrival - we used it all time and it helped make the most of our stay. The terrace and the air conditioning. good size,. well equipped, interesting area not high tourism area. Particularly impressed with the way Nils looked after us, on arrival, and ordering a taxi when we left etc. We had a wonderful week, and have already recommended you to 2 people.